Ex. Judge Curtis of Delhi, NY, collection (circa 1940’s); earlier; possibly ex Wurtzbach Collection via a Barney Bluestone sale in 1931; privately to Abraham Hepner for $1,600; Estate of Abraham Hepner; privately to Lelan Rogers in October, 1968. Update: Upon its sale in 1995, this coin was placed in the celebrated D. Brent Pogue collection. 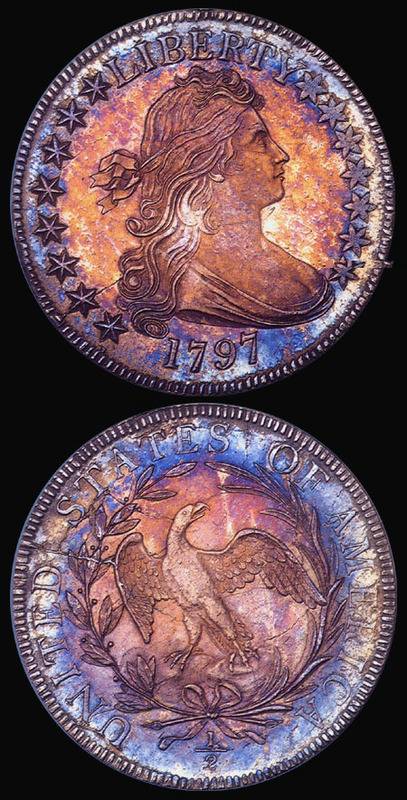 20 years later, on May 19, 2015, when the first part of the Pogue collection was sold at auction in New York City by Stacks/Bowers Galleries in association with Sothebys, the coin, graded PCGS MS-66, brought the astonishing price of $1,527,500!